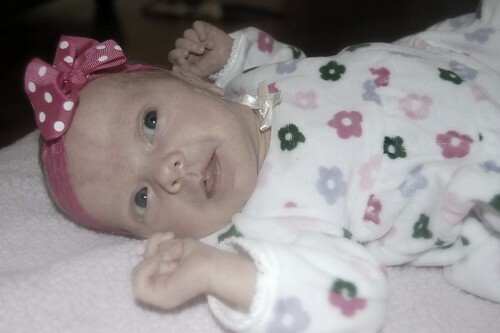 Profoundly Seth: Happy Due Date, Evany Jane! Happy Due Date, Evany Jane! 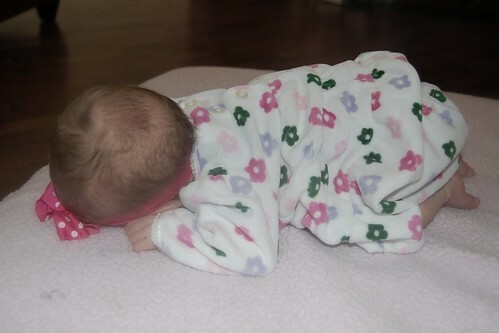 Finally, after nearly two months here with us, this adorable little girl is actually supposed to be here! Happy Due Date, baby girl! I couldn't imagine still being pregnant today and missing all this time with you! Over the weekend you apparently got the memo that your date was approaching, and it was like a switch flipped...you suddenly turned into a baby with eyes and a voice instead of a baby doll who slept all day and night. My best friends niece is visiting and she is just two days younger than you are, but man, does she ever look older! 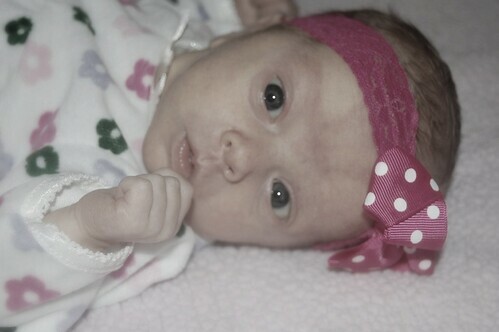 She looks like a typical almost two month old baby, while you look like a brand new one! Baby Jesse is grinning and smiling and flirting with everyone, while your most common expression is one of vague disinterest, like you secretly think we're all big nerds and you're just biding your time until you learn to use your legs so you can escape to a more interesting family, preferably one who parties all night long. You're still on the small size, even for a newborn, which is what you effectively are, especially at the doctor's office. For your adjusted age of zero, you're still only in the 20th percentile for weight, but if you're anything like Seth, after you get the kinks worked out you'll grow like crazy. And six and a half pounds is pretty big when you were only four and a half pounds when you were born! I'm already in talks to get you married off to our friends' son...we've got to get someone married so we can all be related for real, and Fisher is already in love with you, so I think it's a win win situation, really. But that's in the future...we'll let you and Fisher work that all out later, and just interfere a little. Or quite possibly a lot. In any case, right now, all I can do is thank God for helping you defy all the odds and thrive despite all the hurdles you could have faced with your premature birth. I'm so glad you're here, and I bet that just like you have so far, you're going to do everything else in your very own time, too. Speaking of, when I was taking these pictures, you rolled over completely on your own three different times and almost flipped yourself right off the ottoman. Slow down, Vivi! You've got plenty of time to give me gray hair...there's no rush! Chill, girl.